Once you have exhausted your supply of still-living relatives for interview purposes, and need to move on beyond the living, the census is a very valuable tool to help you in your time travel. In the United States, there is a federal census taken every ten years, on the even years ending in zero. Thus, there have been such accountings taken ever since it was first established back in 1790. Census takers began in August, and back then, it took many months of traveling the country to visit every possible household. For uniformity of data, they were to collect information that was correct as of August second of that year. That would mean that a child born on August fifteenth or thirtieth, for example, would not have been counted. They would instead show up as a ten-year-old child on the next census in 1800. 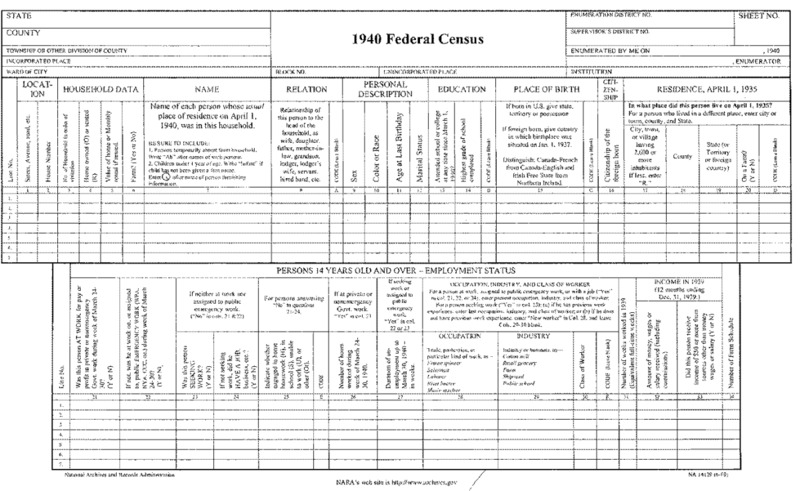 There have been twenty-two federal census counts taken to date. The next one will be in 2020. What Kind of Information Can You Glean? 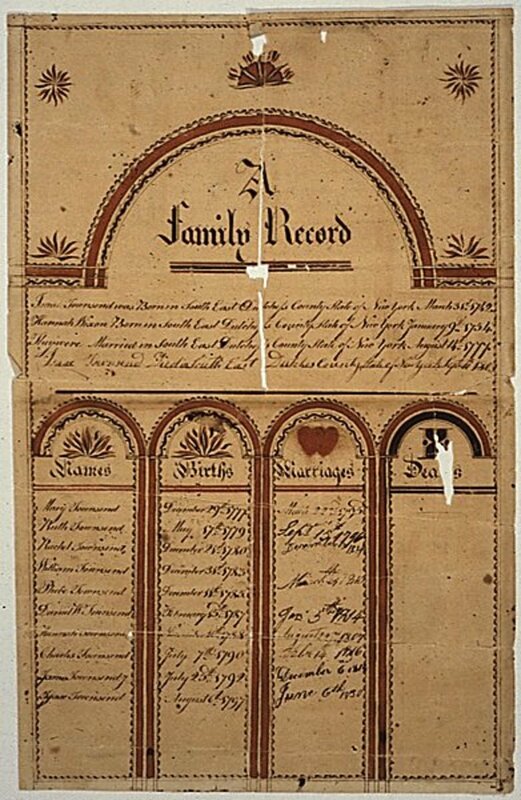 The very early records have rather limited information, including only the name of the head of household (usually a male), and then only a listing by age groups and quantity of other household members after that. So, if you see James Johnson, for example, as head of household, and then 1 female, age 35, you are fairly safe in assuming it is his wife. But, be careful of what “assume” spells. Also, any children would show up as ‘males, ages, one through five,’ ‘females, ages one through five,’ and so on, with the number of how many of each. Also included were the slave schedules, for households owning slaves. Interestingly (and shockingly, to our modern sensibilities), a slave counted as only three-fifths of a person! This was a position taken in order to mollify the southern states, and about which much debate centered among those drafting our Constitution. Coming forward in time, the information gets very detailed and much more helpful for genealogical researchers. You will find such data as the birthplaces of both the couple and their respective parents. There will be a column for whether or not they spoke English, and whether, if born outside the US, they became citizens. You will find the occupation of the couple appearing in the census, and the names and ages of all in the household. There is, however, a hole in the records. Everyone researching their family history learns of this not far into the process: most of the 1890 census was destroyed in a Department of Commerce fire. (Partial records are available in some states.) Generally, for this period, other data sources must be used. Which Census Schedules Can You Access? There is a seventy-two year restriction on public access to the census records, for privacy of persons still living. When that law was enacted, it was fairly rare for people to live as long as seventy-two years. Today, however, it is commonplace, and I know at least a couple of people who have found themselves listed in the 1940 census, which was just released in 2012. Think about what that means for researchers of family history; make up any set of age numbers for anyone born around or within that decade. They would have to live an additional seventy-two years past their age at the time before they could access that document. Taking it to a personal level, I am not in that census. I will show up as a two-year-old child in the 1950 accounting, which in turn will not be released until 2020. I’m just one birthday away from turning seventy at this writing. If my health holds out, I will be nearly eighty by then, and still interested, if I have not become feeble or senile. Just to make things extra fun and interesting, they have seen fit to change the format of the sheets for every census. Thus, there is no generic census form on which to copy down your data. Blank copies of the census schedules for each year are available for free download from several sites. On the blank forms, instead of seeing pre-printed line numbers, you will find a blank space; this is where you record on which line(s) you found your ancestors. All the other spaces will correspond to the same questions on the actual form. Be advised they are handwritten up to the 1940 census, and some of the handwriting is, to put it charitably, quite flowery. They can be hard to read. Usually, though, the online sites where you find census information shows a page at a time, and you are able to zoom in or out to the magnification level you prefer. If you are still struggling, Ancestry has a wonderful chart of old handwriting samples. 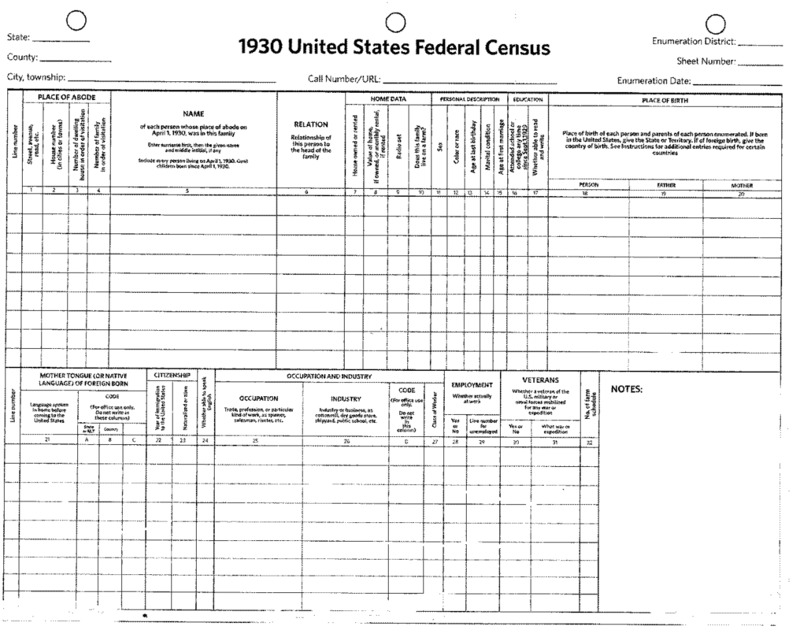 Where Can I View the Census Records? The National Archives is the main keeper of these records, and research there is free. You need an appointment to visit the local branches, available in many cities, but they also have an online database, accessible at archives.gov. They can also be viewed free at family search.org, which is operated by the LDS church. You can join the site and use their services free. Ancestry.com is another site that maintains copies of census records online. However, they are a subscription-based service. There are several others, but there is not space here to list them all. Beware of misspellings/alternate spellings, misunderstandings, misinterpretations, mistaken information, and other places where the data may be almost but not quite correct. So, how does such an official and important accounting have so many errors? Back when census takers pounded the pavement gathering information by going door-to-door, many errors crept in. They might not have bothered, for example, to ask the householder how their surname was spelled, and the census taker may have just written down how it sounded to him. Or, the householder may not have been at home, and information was gleaned from a neighbor, who may have been offering wild guesses instead of facts. It's possible, also, that an older child may have given information, but was unaware of certain details about her parents. In one such record I found for my family, for example, I found my father listed as 'George Jr.' George was his middle name, not his first name, and there was no 'Jr.' about it. Nickname? Unlikely; he never mentioned anyone calling him by that name, and he was a grand teller of stories of all his adventures as a boy. His boyhood nickname, in fact, was 'Whitey,' because his hair was so light blond it almost looked white. In another census, the eldest child in that family, my dad's sister (and therefore my aunt), was also mistakenly listed by middle name only; that is not how she was known. Perhaps the census taker was so busy writing that he did not hear the first name. Who knows? In another area, there are many, many cases of alternate spellings for the same name. 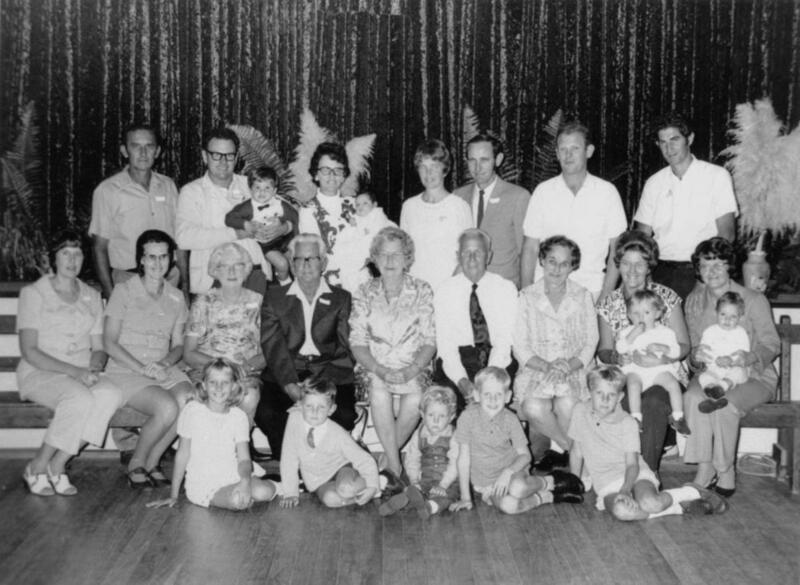 Sometimes, the spelling changed over the course of a few generations, all the while being the same family. Then, there are the 'just plain alternate spellings,' that can make tracking down the correct branch a bit tricky. 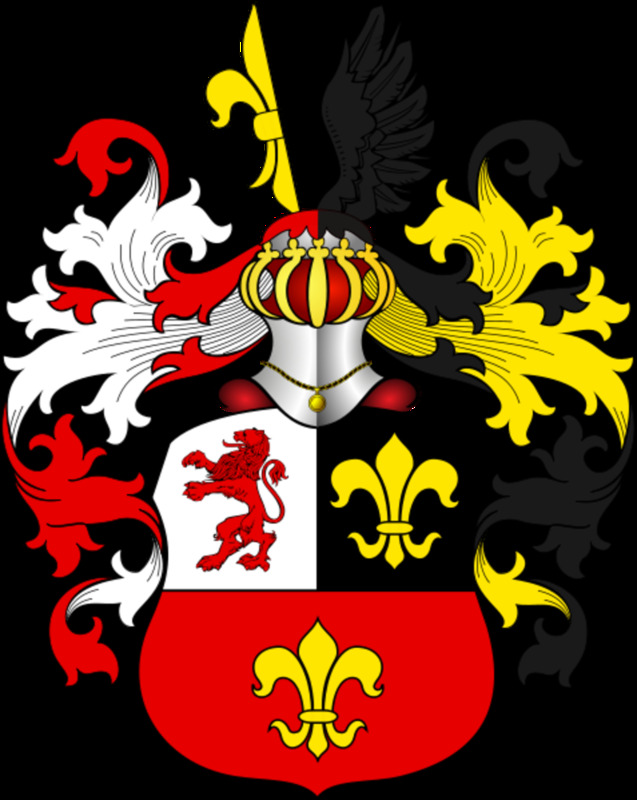 For instance, one of my maternal lines hails from New England, and has the surname of 'Reed.' Well, folks, grab any telephone directory for the area, and I wish you well counting the vast numbers of Reeds! Then there are Reads, Reids, Rieds, Reds, (yes, that happened), Redes, and so on. The same is true of Smith; actually the most common surname in the US. While there is much information on your ancestors, it is also easy to become sidetracked. For example, while writing this article, I was looking through the 1940 census for my childhood home. I knew the house was built in 1938, and that my father was the one who contracted for the home to be built. I also knew that he took in his parents to live with him in their final years. I would therefore have expected to find my father as head of house, with his parents as other residents. 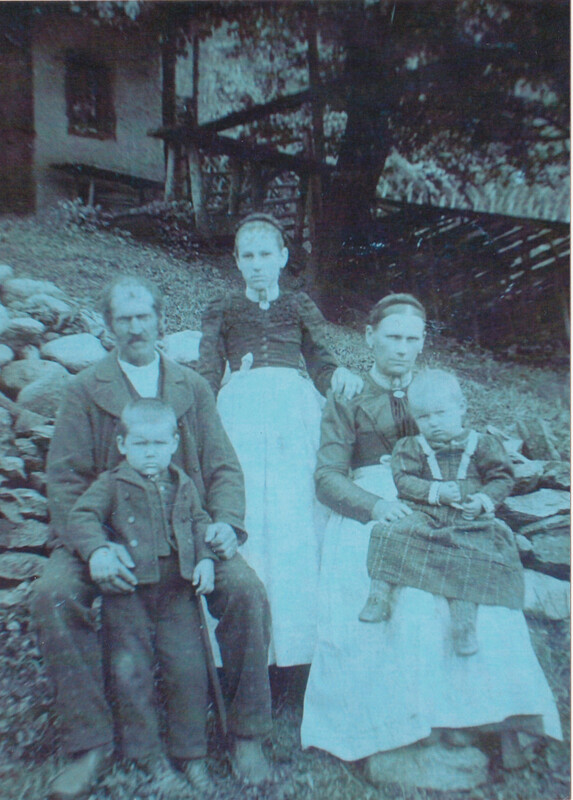 My mother would not enter the picture for another five years afterwards, by which time, my dad’s parents had passed on. While I did not find the page for that house, (because I was being mindful of time spent not writing), I came across, quite by accident, the home of the lady from whom I took piano lessons. 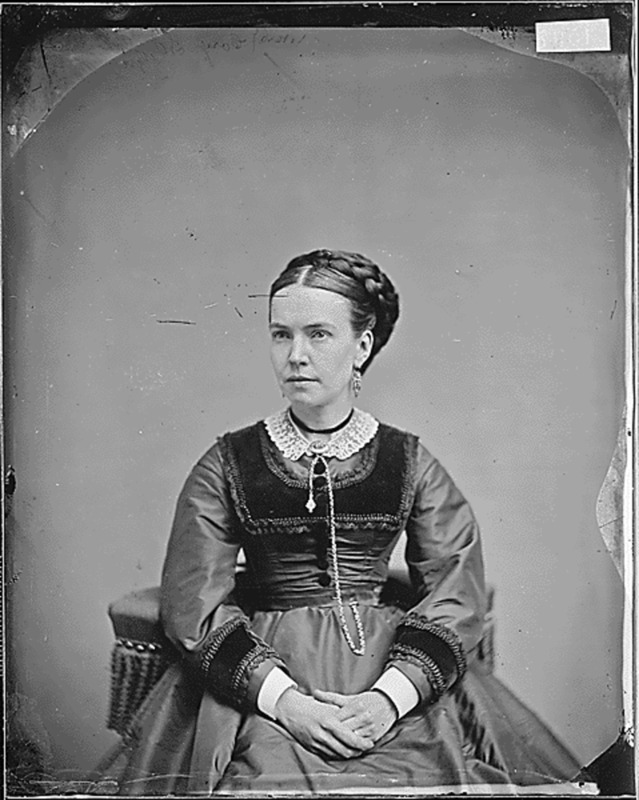 By deduction from her and her husband’s ages, I realized they had not had children of their own, for they would have shown up as being ten or twelve years old, or teenagers at that time. That realization explained a lot; but that’s another story. As you explore these documents, be aware of the header lines at the top of the page, displaying things like city, state, county, enumeration districts and page number. You will need to make note of this information as well. Also, the lines of data are numbered; make note of the line number(s) on which you find your ancestors. I'll cover the whys and wherefores in my next installment. 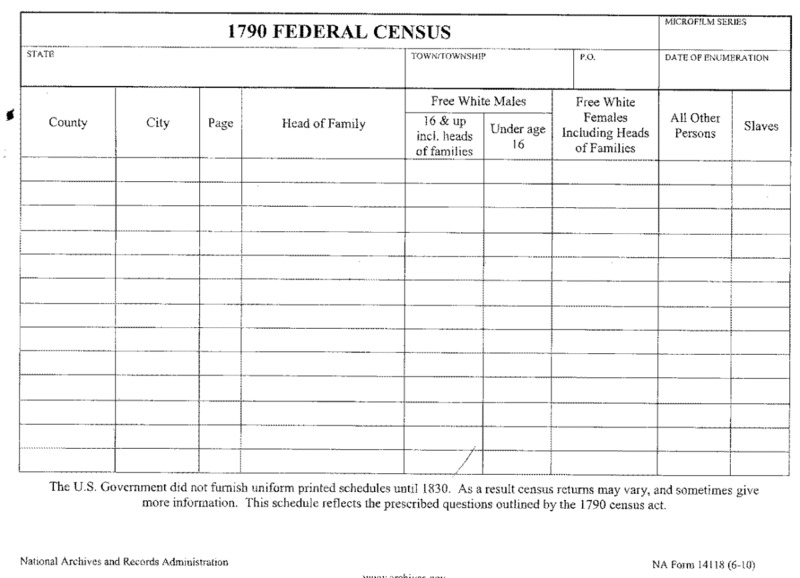 As of now, the records from this latest census have not been digitized, or indexed by name. Therefore, you must search page by page, and it is rather a puzzling process, for the census takers apparently went around blocks in a square, as near as I can figure. It also seems to leapfrog between odd and even numbered sides of the street; so from the 'around the block' method, all the evens are done, and as they come around the corner to the next street, all the odds, and so forth. You’ll come to a street, think you’re right on target, then it suddenly shifts to another street, then another and another. Several pages later, you come back to the street you’re searching, but on a different block. That is why I was unable in a quickie search, to find my childhood home. 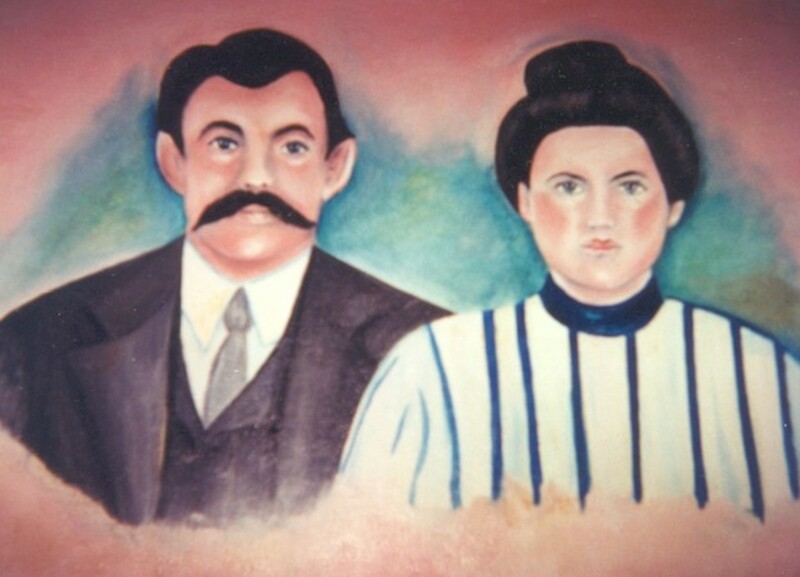 It is a time consuming search process, but very rewarding when you find an elusive ancestor. Those, "AHA! I found you!" moments are worth it all. You may wish to refer to the other articles in the series, starting with how to begin tracing your history , one on figuring out those complicated relationships, and how to use family group sheets. I wish you all the best of luck and wonderful discoveries. It is a fascinating hobby, and I believe it is the rare person who does not find a 'skeleton in the closet' of sorts in their tree. Mine was finding a woman who was second cousin once removed from her own child! Wow! 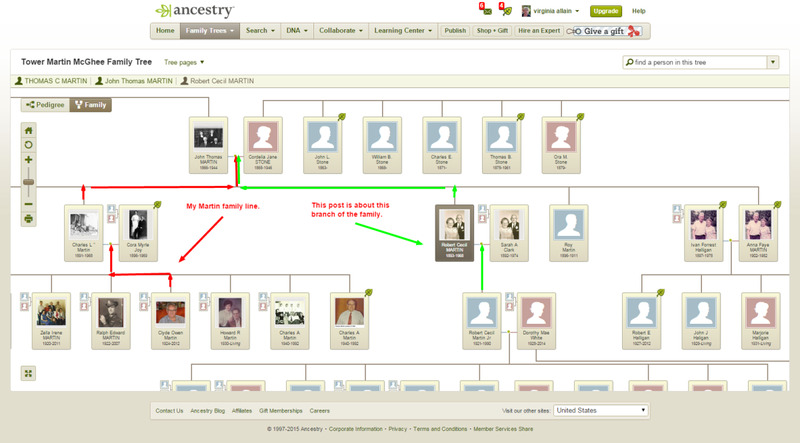 It's so interesting to delve into the archives and research the family tree. My sister did most of ours but she managed to get back quite a long way. She also found out about some fascinating people along the way. 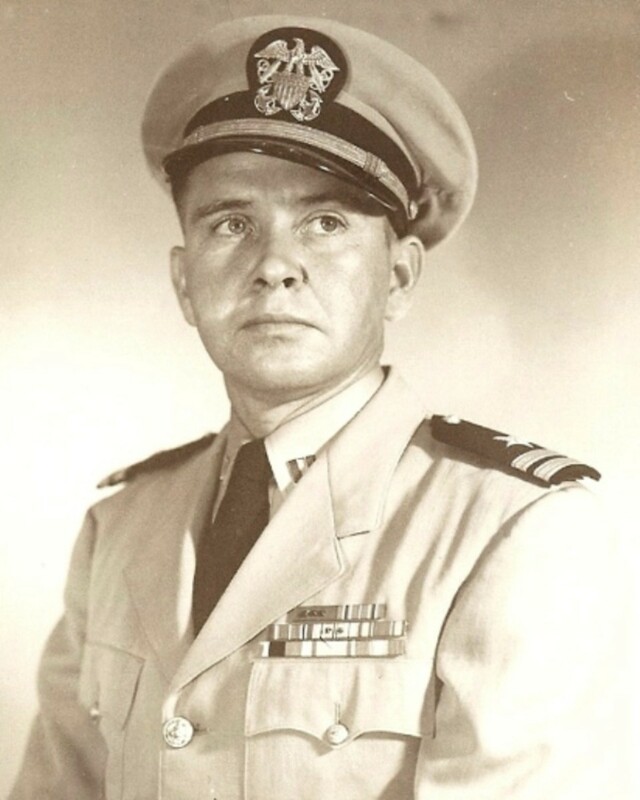 Not only do you find information regarding your own family but stories about others can be poignant and inspiring. Useful information here. The census, the church records and graveyards, and 'Somerset House' are great sources in Britain, as well as the War Archives and such. Just the buildings are worth a visit in themselves!